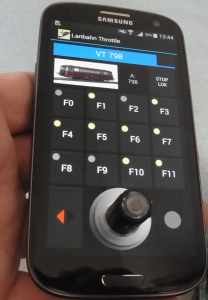 LANBahnThrottle is an Android program for locomotive control, it is similar to my “SRCP Client” – LanbahnThrottle is still in beta stage, but you can find the source code of this software already on github.com/LanbahnThrottle or an APK-File here. It sends LANBAHN commands like “LOCO 211 30 1 0 0 0” (=> set speed of LOCO with address 211 to 30%, direction forward, F0 on and other functions off) via UDP multicast on port 27027. 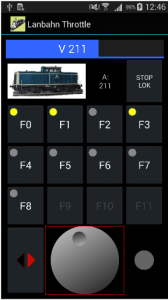 LanbahnThrottle Screenshot (German and English localized). 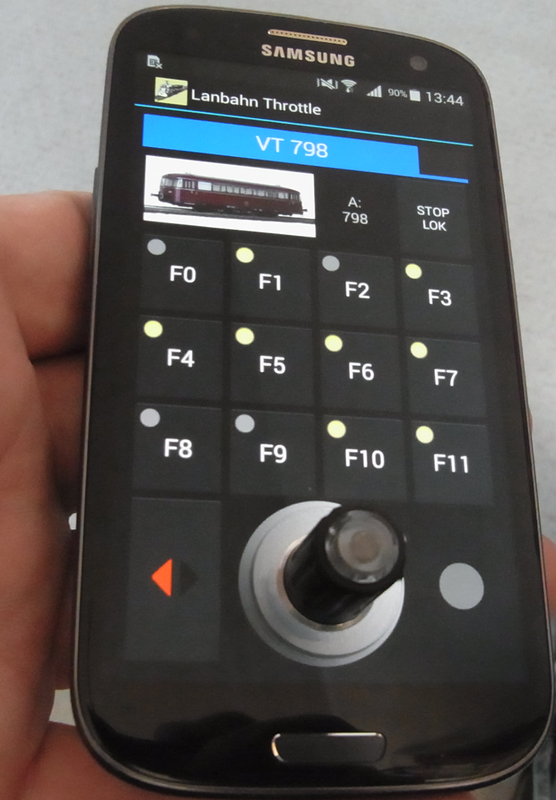 This app is compatible to the tuna knob (if you prefer a “physical” knob).